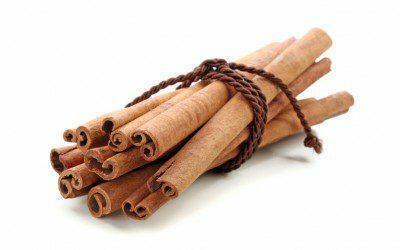 Home > Blog > Amy Campbell > Is Cinnamon Good for Diabetes? Chances are you have a bottle of cinnamon in your spice cupboard. And chances are you never thought of cinnamon as medicine. However, cinnamon has been used medicinally since ancient times. This popular spice was used in ancient Egypt, China, and India for culinary and medicinal purposes, and its use has also been documented in the Bible. There are two types of cinnamon: Ceylon and cassia, both derived from the bark of evergreen trees. Ceylon cinnamon is grown in South America, Southeast Asia, and the West Indies, while cassia cinnamon is grown in Central America, China, and Indonesia. Ceylon cinnamon bark looks like tightly rolled scrolls, while cassia cinnamon is more loosely rolled. Cassia is the variety most commonly sold in the United States. Most people think of cinnamon as a flavoring for desserts or as a warm, robust scent for candles and potpourri. But this spice may do more than make your house smell good. Cinnamon has been shown to help lower blood glucose levels in people with Type 2 diabetes. A study published in the journal Diabetes Care in 2003 looked at 60 men and women with Type 2 diabetes who were taking diabetes pills. The participants took either 1, 3, or 6 grams of cassia cinnamon or a placebo, in capsule form, for 40 days. After this time, blood glucose levels dropped between 18% and 29% in all three groups that received cinnamon. However, only the participants who had taken the smallest amount of cinnamon (1 gram) continued to have improved blood glucose levels 20 days after they stopped taking it, for reasons the researchers didn’t quite understand. In the study, cinnamon also helped lower triglycerides (a blood lipid) and LDL (or “bad”) cholesterol levels. The benefits continued after 60 days, 20 days after participants had stopped taking cinnamon. No significant changes in blood glucose or blood lipid levels occurred in the placebo group. So, should you start shaking cinnamon on everything or start popping cinnamon capsules? First, keep in mind that this was a small study with only 60 subjects. Second, it was a short-term study, and the effects of taking cinnamon on a long-term basis aren’t known. Third, there’s no evidence that cinnamon helps people with Type 1 diabetes. On the other hand, cinnamon is relatively safe. Keep in mind, though, that, some people may be allergic to cinnamon, and that cinnamon in large amounts may cause mouth sores or burn the skin. Also, as with any kind of supplement, it’s important to discuss its use with your health-care provider. One gram of cinnamon, the lowest (and most effective) amount used in the study, is about &#8533 teaspoon. Three grams is about ½ teaspoon, and 6 grams is a little more than a teaspoon. If, after checking with your health-care provider, you want to see for yourself if cinnamon might help improve your blood glucose levels, start with the smallest dose (1 gram). Be sure to check your blood glucose levels often and keep good food and blood glucose records. 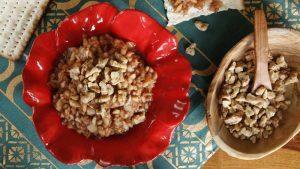 Then, try sprinkling cinnamon on cereal and toast, or in your coffee, tea, or cocoa, spread out over the day. Another option is to take cassia cinnamon in capsule form, taking 500 milligrams twice daily. Just remember that cinnamon supplements, like all supplements, are not regulated by the U.S. Food and Drug Administration (FDA) in terms of quality and effectiveness. Stop using cinnamon immediately and call your health-care provider if you notice any side effects. If you don’t notice any improvement in your diabetes control after several weeks, don’t despair. You can still enjoy the rich, warm flavor of this ancient spice.